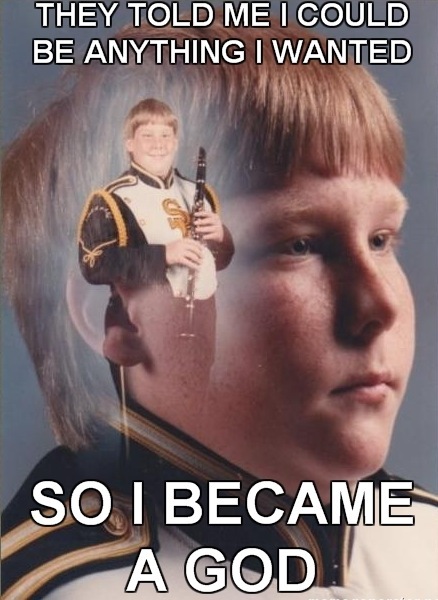 They told me I could become anything I wanted. So I became a god. Because its hilarious and you wouldn’t want The Great And Holy Clarinet God to strike you down. There’s a few more of these. Link is NSFW.